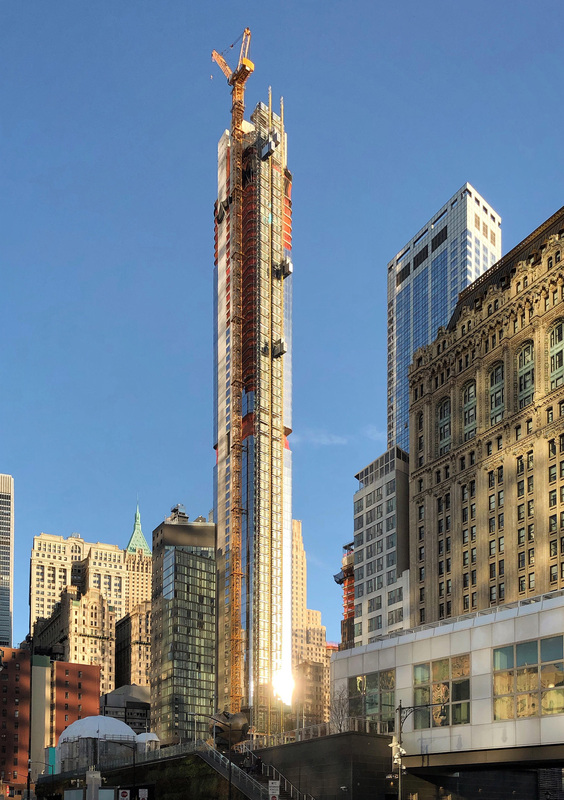 Downtown’s residential boom continues apace with the construction of 125 Greenwich Street, which has reached two-thirds of the way to its 912-foot-tall pinnacle on a corner overlooking the World Trade Center memorial. 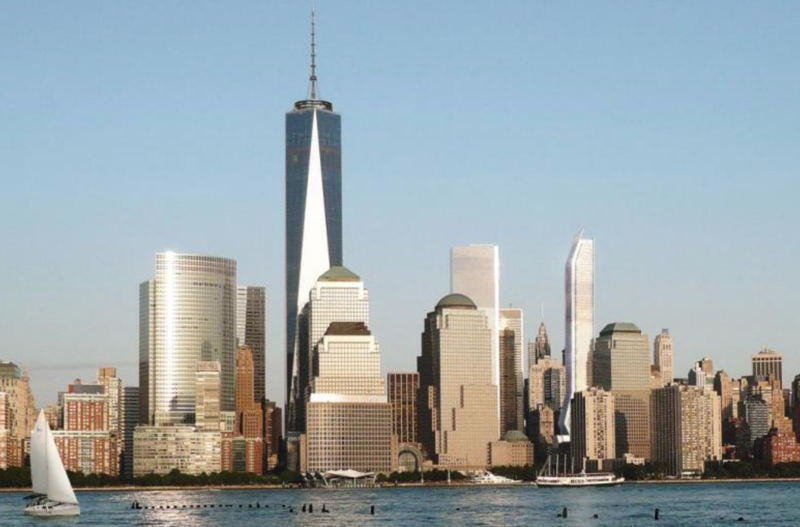 The tower will rise above most of its neighbors in the Financial District, but since it is right across from 1 World Trade Center, it will not make a sizable impact on the skyline. 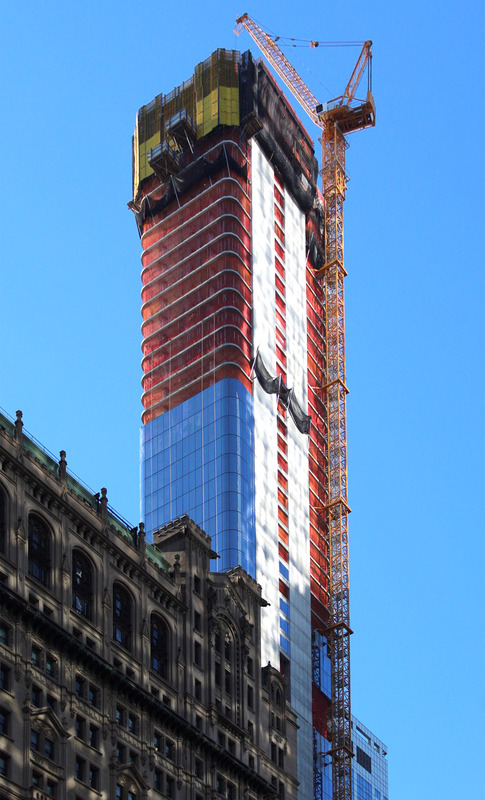 Architect Rafael Viñoly is also responsible for the Midtown supertall 432 Park Avenue. Last month, YIMBY toured the sales gallery for 125 Greenwich Street as the first in a series of skyline updates going live this week. Construction is moving quickly, and last we saw, the tower had risen over two-dozen floors, and nearly 300 feet, above ground. That leaves plenty of height left to grow before it makes an impact on the Lower Manhattan skyline. Famed architect Rafael Viñoly is responsible for the design. 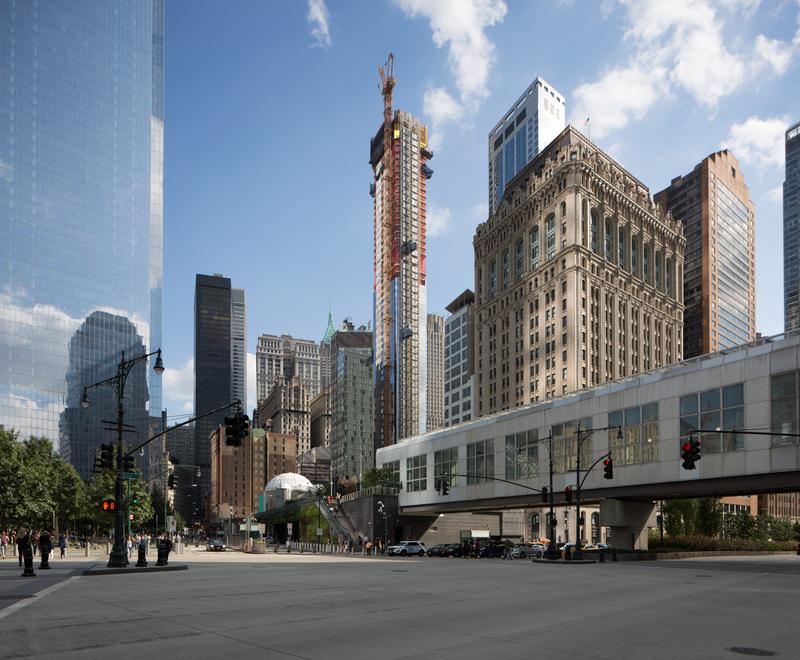 With 175 Greenwich Street nearing its opening day and 200 Greenwich Street hopefully expected to begin construction within the next few years, most of the World Trade Center’s rebuilding is nearing completion. But one major hole in Downtown’s fabric still remains, at the site of the former Deutsche Bank Building. Plans for a pot-bellied skyscraper had been proposed around the time of the tower’s demolition, but in the years since, the plot had seemingly been forgotten, and is currently covered in asphalt. 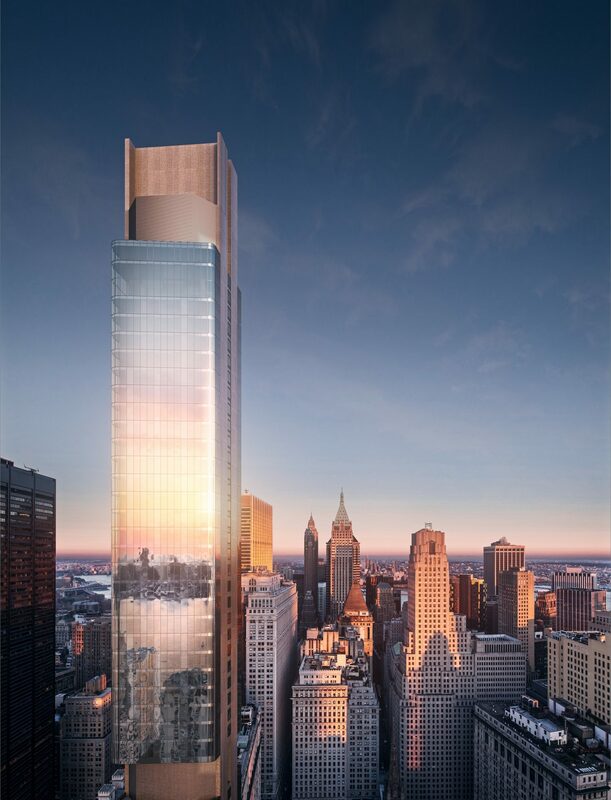 Today, YIMBY has a major update on the site, thanks to zombified plans from Chinese developer Dalian Wanda Group, which would yield a new residential and hotel supertall designed by Kohn Pedersen Fox.